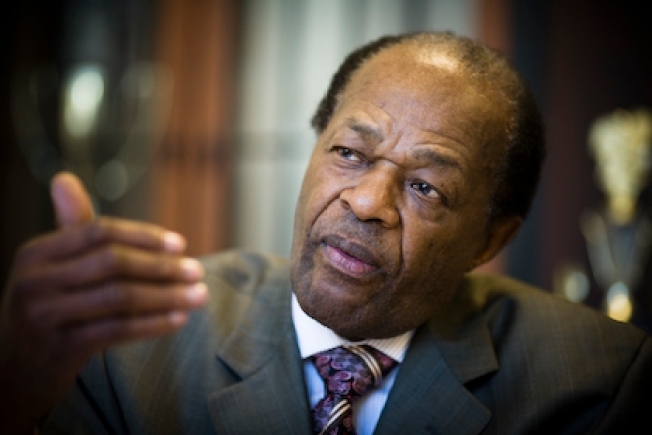 Former District of Columbia mayor Marion Barry has been released from the hospital after his second extended stay this year. His spokeswoman, LaToya Foster, says the 77-year-old Barry was released Tuesday night from Washington Hospital Center after an 8-day stay. Barry, now a D.C. councilmember, had tweeted that he was being treated for a urinary tract infection. He said it wasn't serious. Foster says Barry is now at a rehabilitation center receiving physical therapy to help with mobility. In January, Barry spent 16 days at Howard University Hospital. He has suffered a variety of ailments, including prostate cancer, diabetes and kidney failure that required a transplant five years ago. Foster says Barry will be hosting a kidney donation awareness event on Saturday on the Howard campus.